Utah. Road Trip. Epic. Do It. Too Close Not To. The Curious Adventure has returned me to the United States where at this moment life is a giant road trip. The Rialta is back in tune (see featured image) and we’re clocking mile upon mile and seeing some of the most beautiful offerings that the USA has. For one quick second I want to mention that on face value I am a global warming nightmare. I fly, I drive, I move constantly. I profess that climate change is the most severe problem that faces our future – so how can I justify my life? It may seem unrealistic but I do contribute using an organization that funds anti-carbon project and it’s called Terrapass. You can take a look at it here – http://www.terrapass.com but basically I do try to take action to correct the damage that my lifestyle has on the planet. 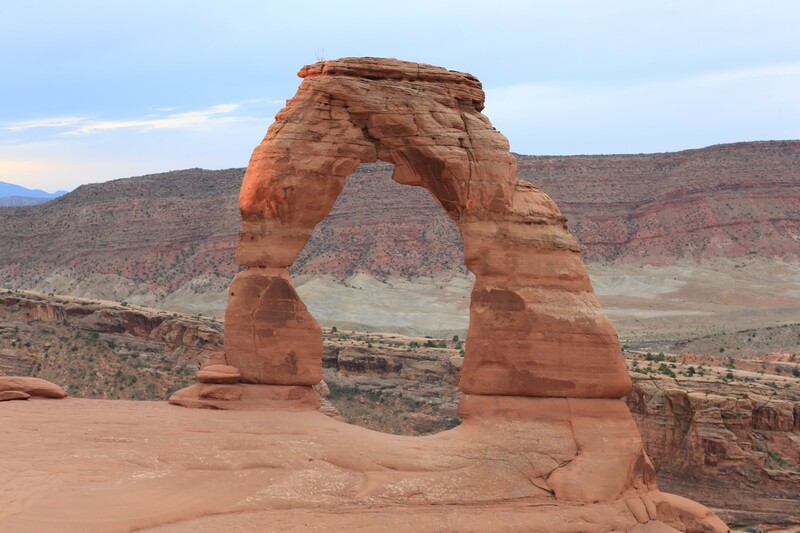 Now, with that out of the way – three words – Utah Road Trip. It’s impossible to describe the beauty of Utah in words. You need pictures. The world has many places with amazing geography, however, the world that I have seen has few places with so freaking much of it. Here’s a concept from Utah. “See something natural that is really hard to fathom how it exists even though you know all about the science behind it, turn your head, see something totally different that causes the same reaction”. 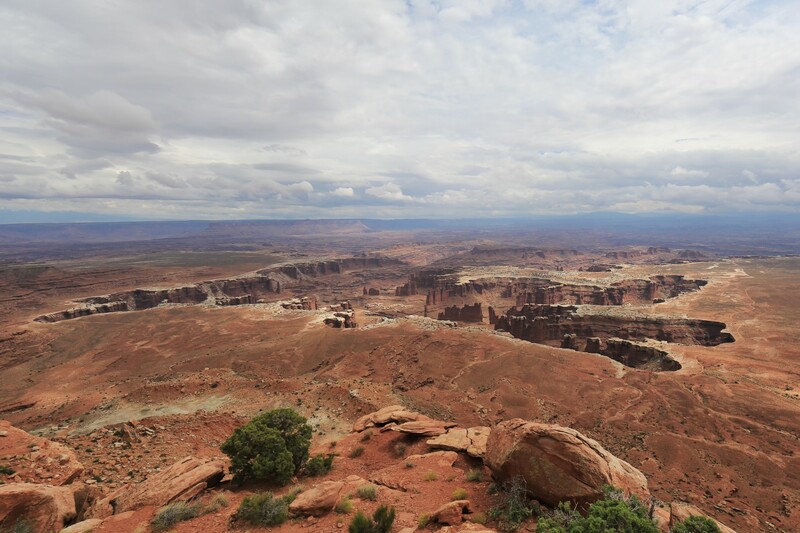 Canyonland Park. Another view, just a few minutes away. 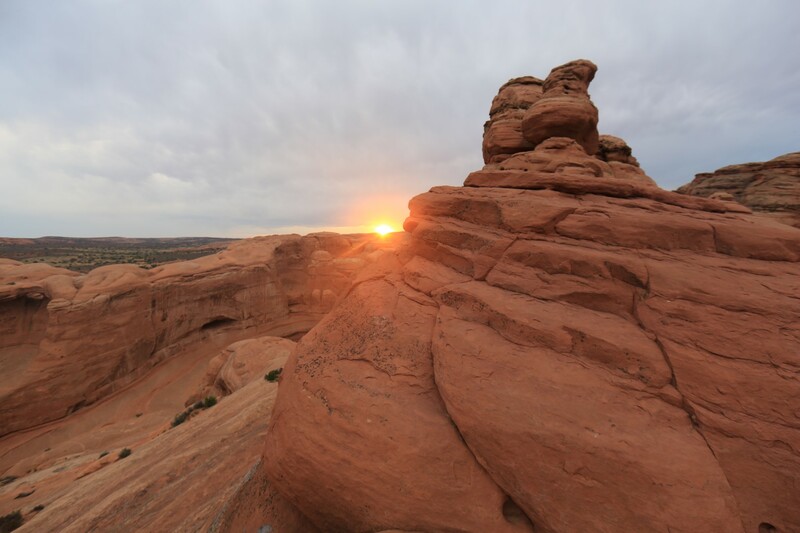 Landscapes in Utah make no sense and can only be captured sensually (with your senses). The colors seem fake, the sizes don’t make sense — your eyes think they see something that is as big as a truck and then a person steps into the view and you realize that what you are seeing is the size of a building. And here with people … way different! Rocks sit on top of each other precariously – or – rocks sit on top of towers of rocks. Balancing in a way that you just simply aren’t able to hear the words of the scientist who explains to you why and how the wind made it sit there. Nope. Doesn’t …. seem …. to … make sense … oh! oh! Sorry, I get it. Yes, wind, water, millions of years, this layer, that layer, river, blah …. blah …. blah. nom, nom, nom. Wouldn’t catch me up there! At Canyonland NP. My friends know this and it’s like a can of worms and I won’t say more about it but this one sentence: I don’t believe in a knowing God. Utah throws me into “Hmmmmm” mode if only for a few minutes. I am simply in utter and complete awe of the fact that these features managed to come into existence. So – remind me how this happened? 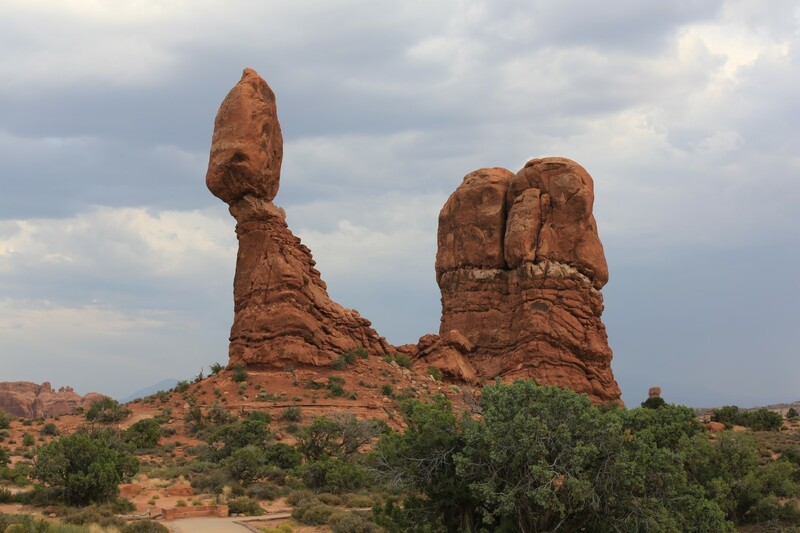 Balance Rock at Arches NP. 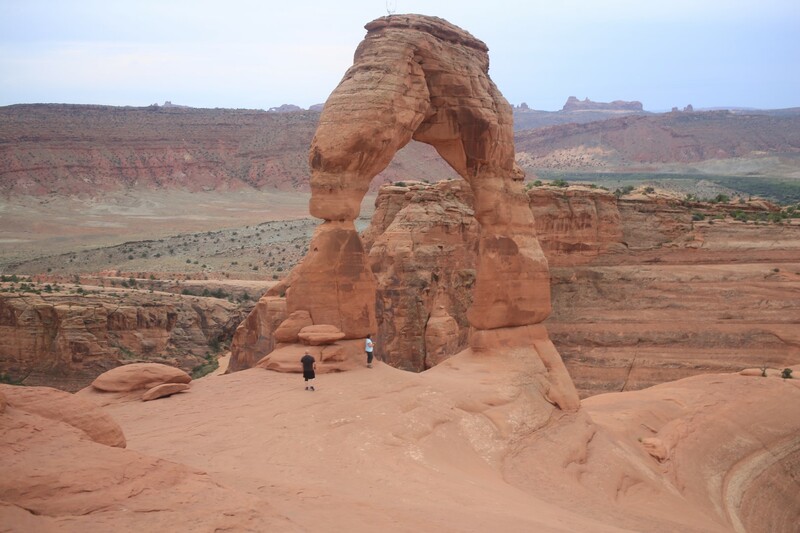 So, Utah – you can go there! Does your airport have cheap flights to Vegas? Most do! If you fly to Vegas you can …… skip Vegas (or go for a day … but no more please!) and rent a car. Zion National Park (not visited this trip but visited before) is less than 3 hours away. There are 5 count them FIVE national parks all within a few hours of each other once you blast your way out of Vegas. But it’s not only the national parks that are just stunningly gorgeous. 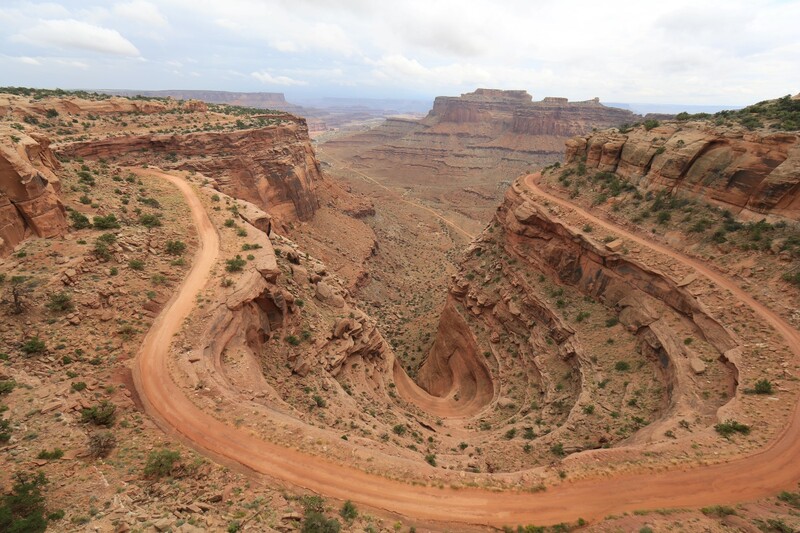 The roads themselves are breathtaking – just driving through Utah is an experience in and of itself even if you never even set foot in one of the parks. At one point I used to choose favorites between the parks, now I no longer am able to do that. Each of them is totally unique and it’s completely fantastic that in you could comfortably visit at least 3 of them in a one week road trip starting with Vegas as your basis. From Vegas it’s 3 hours to Zion. From Zion it’s 2.5 hours from Bryce. From Bryce to Canyonlands and Arches is 4 hours. From there to Salt Lake City is 3 hours and fly home from there (granted that would most likely be a pricier flight home). Zion National Park: Closest, easiest to reach, extreme hiking and trail climbing that can be thrilling and scary at the same time. 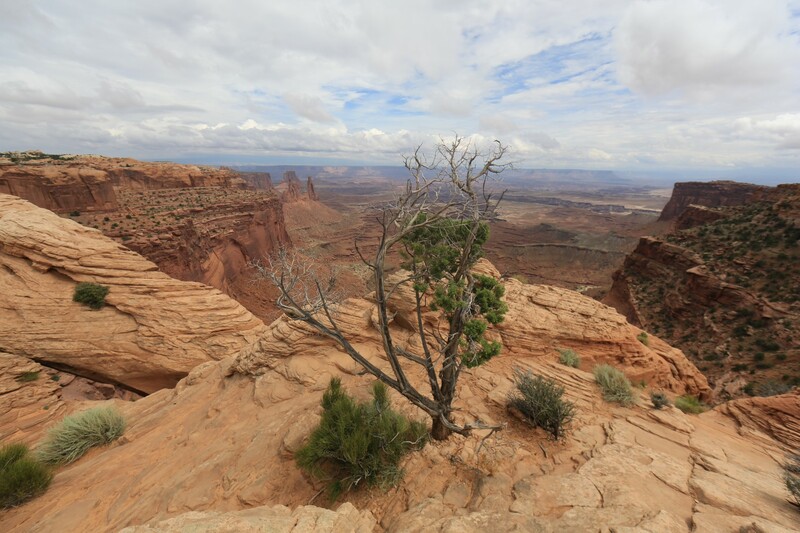 Less specific geographic features and lots more hiking in canyons. Bryce National Park: Bizarre, otherwordly rock formations that are hard to explain but looks like you have stepped into another planet. Strange colors and formations. 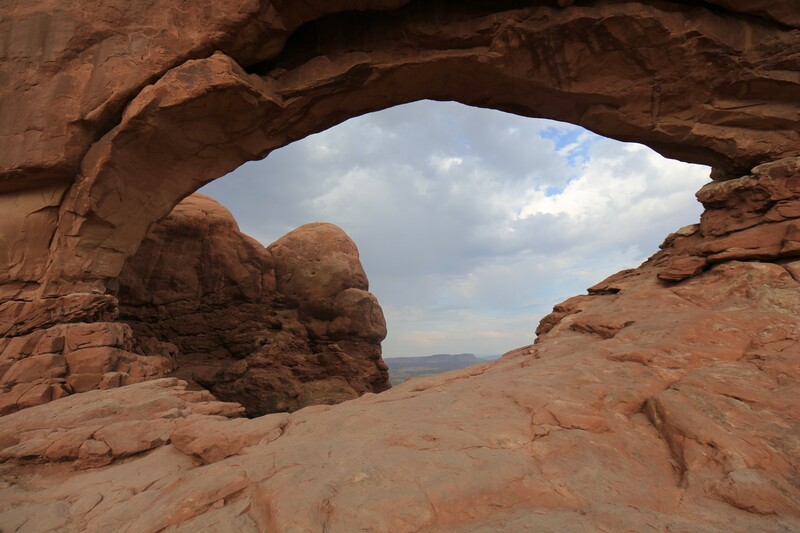 Arches National Park: As the name implies, lots and lots of natural arches consolidated in one location. Very red rock. Scenic driving with some hiking but less hike-centric and more landscape feature oriented. 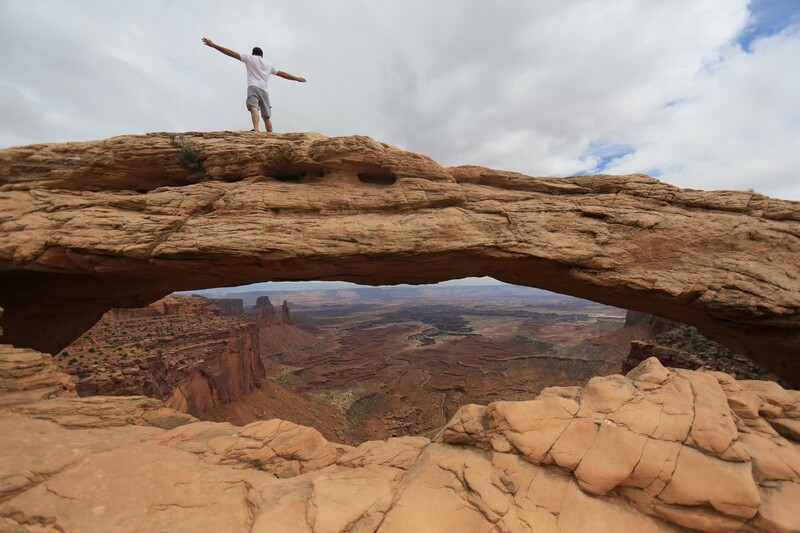 Canyonland National Park: Better than the Grand Canyon IMO. It’s called “The Island in the Sky”. 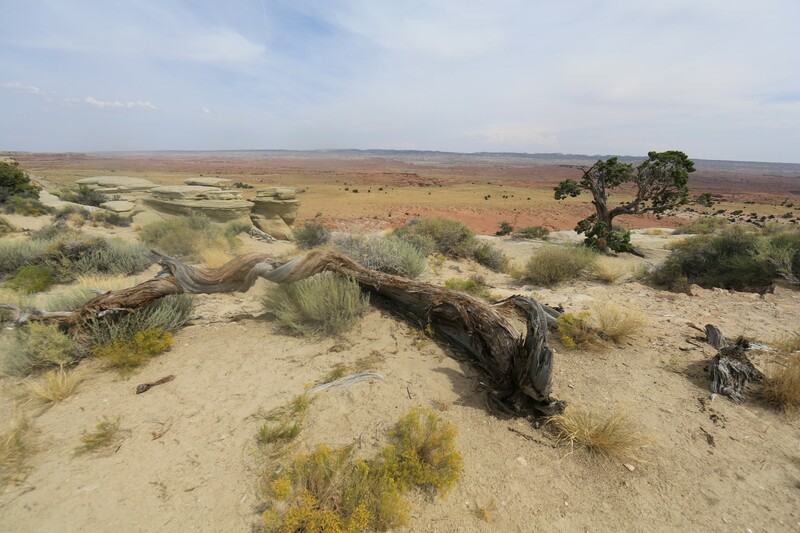 The whole park is on top of a mesa that overlooks hundreds of miles of amazing canyons and rock formations. It’s a long scenic drive with lots of viewpoints and spectacular viewpoints at that. Very little hiking. So, the bottom line? Just go. 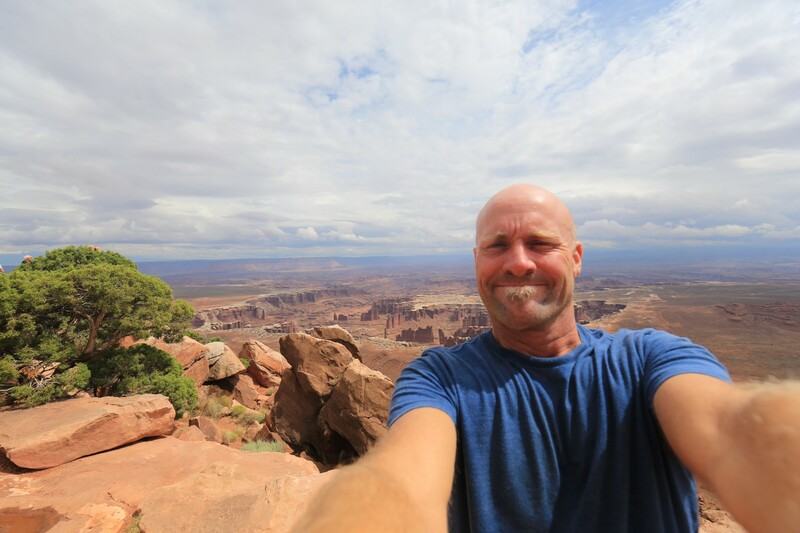 Canyonland is really spectacular but it’s the farthest to get to. I highly recommend making the effort. Plan your trip now! It looks like an eye .. or is that just me?